Over the last two years, I have gone through a metamorphosis, a massive mind-shift on my view of career success. It’s a remodeling, a life redesign. It’s come not just by doing something different, but by changing my attitude about my whole life. It took some hardships and leaving corporate jobs after 18 years to figure out new tools and new life skills for what was to become a new and entirely unfamiliar world. It was also the best thing that ever happened to me. So what was missing in my previous life? Perspective. I thought if I had career happiness, life happiness would fall into place. It didn’t. I lost perspective on life. Sadly, from my experience, corporate life makes it very hard to find both. Success was hard-wired into me by my upbringing. My dad was the teacher of that philosophy. Recently, I was re-introduced to his teachings when my brother presented my father’s eulogy. Dad was consistent with his feelings about education, hard work, and careers. He was tough and constant and would only dish out praise when he felt it was 100% warranted. It’s funny how, years later, I finally realized why it was hard to gain his approval. I measured others and myself by his standards, which were as high as a kite in the sky! My dad’s two-decade-long teachings went something like this: go to school, work hard, get good grades, go to university, get a good job, work hard and get promoted. This formula created a lasting and progressive career (for him). Those “work hard” sermons led to my own insane, slightly obsessive and often unhealthy work ethic, all to conquer an enormous standard I had set for myself and the need for recognition. Staying in the corporate world for a long time supported that need. It showed I was devoted and loyal, which led to promotions, money and others seeking my advice. Constantly seeking approval from others was creating a growing sadness inside me, but I ignored it. The issue: I wasn’t happy enough with me. Jumping ahead to two years ago, changes in work and life forced me to find new tools. I appreciate my dad for his teachings. It was what he knew; I just evolved to find a different path that worked for me. 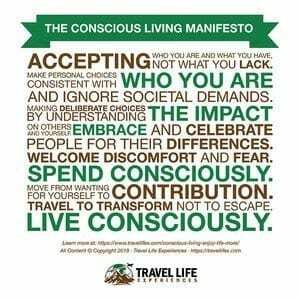 Happiness for me is now unconditional life success. A balance of work and life. How did this new realization happen? It didn’t come by doing the same thing, holding the same job or working in the same company. It wasn’t from living in the same city or having the same friends. It came from a change in my environment, seeking new, meaningful connections, experiencing painful hardships, and finding unconditional love and confidence in myself. It wasn’t easy. I needed to regroup many times, to work through the frustration, all of which resulted in a brilliant outcome. It opened me up to achieving my life goals. 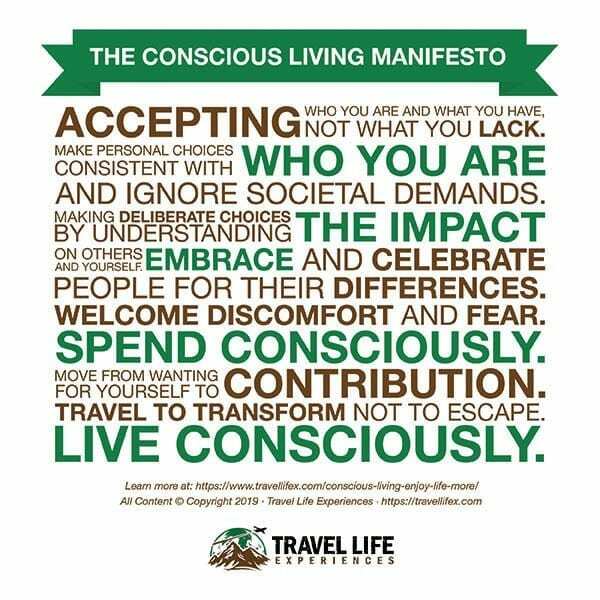 When the goal became traveling for work and life, like starting Travel Life Experiences with my husband Troy, it was my calling. That shift within me was because I found my passion and the confidence to make it real. I love when people early in their careers ask me for advice. It’s surprising that even a generation younger, are crippled by traditional and views of career. Many friends and past colleagues are stuck in this thinking too. WAKE UP! It is. There is nothing more humbling than REALLY internalizing your inevitable mortality. Think of the number of friends, family, acquaintances whose lives were changed or sadly ended before they could find something to do that they love. It can absolutely happen anytime. No, count the number, it’s significant. With that in mind, would you look at career and happiness in your life differently? This may feel uncomfortable at first, but wake up and tell yourself how amazing you are, unconditionally, and how great it is to be alive. I also reward myself even when small steps are accomplished towards a goal. If you don’t love yourself or find ways to motivate yourself, how can you possibly stretch yourself to really find a life you love? Be selfish. Too many times, I’ve heard people say they stay in a job because they like the people there (but not the work), or the company is short-staffed, so they can’t leave. A job should give you career and life skills that pave the way to a fulfilling life, and you should love doing it. For example, if your job lets you figure out how to run a website, and your passion is to start your own online business – that’s an incredible match! Don’t ever let an HR professional or recruiter tell you that you’ve moved around too much from job to job. That is nonsense, and it’s old thinking. My best hires were people who strategically chose jobs, stayed with them for a couple of years (sometimes less) and learned new skills. When their learning diminished, they moved on to a new job. They also weren’t afraid to take a pay cut, or take freelance, consulting or startup gigs to learn something new. What is the best way to counteract a hiring manager’s concerns about moving around from job to job? Tell them about how you benefited from the moves, and how they accelerated your skills. Back it up with references from people who can vouch for your great work. Remember how great you feel after a vacation and how that changes your perspective on life? Try working away from your office, Do this more often. It’s surprising how it clears your head and rebalances your priorities. Troy and I would NEVER have sold everything we owned, started to build a business on-line while traveling long term, if it weren’t for meeting new people. We met people who encouraged us all the way and helped us see our potential. It’s not easy to connect at first, but it gets easier. Fortunately, there are so many options for online meet-ups and connecting groups. Our favorite group is Live Your Legend. It’s just an amazing group of people who are also trying to find their passion in life and very open to possibilities. 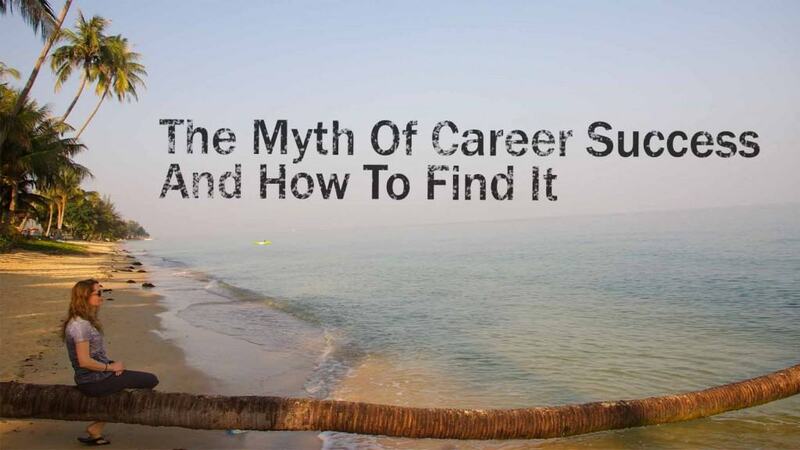 So, career success is a myth if it doesn’t complement your whole life and make you happy. Maybe this might help you think a little more now about your full- life redesign?